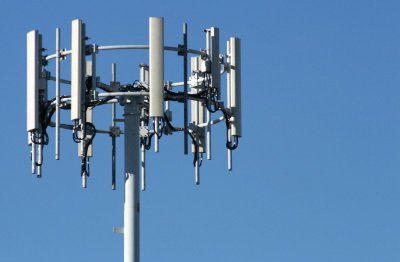 As founders of a recently divested, very profitable business engaged in buying cell site leases for over a decade, the management of TCA is now dedicated to assisting property owners considering selling their revenue stream and institutional investors who want to own these cash flows for the long haul. There has been much inefficiency in the market for wireless leases. We know because we have made millions of dollars buying, pooling and then selling them to institutional investors and tower companies. The vast majority of the profits related to this aggregation and sale play have historically been made by private-equity firms who own aggregation companies and who are, in effect, only brokers that stand between the current owners of the infrastructure cash flows and the ultimate public and private institutions and investors who buy the pools or bonds secured by them. TCA is dedicated to de-layering the business and bringing better pricing directly to sellers. The leases we buy go to investors that wants to hold and not flip them. The process of selling the assets and platform of a wireless lease aggregation business 2013 led TCA management to believe that the dozens of institutional investors they met that wanted to own them are ready to do business with individual sellers to acquire more. Many of these institutions do not, however, have the man-power or information they would need to go about doing it. Sellers of the assets should not have to pay intermediary firms millions of dollars in lost proceeds because of that lack of information or personnel. TCA was formed, in part, to bring the level of market efficiency previously only available to portfolio companies with hundreds of millions of dollars in pool-size down as far as the individual transaction. TCA believes that more, not less, information leads to better decision making. Unlike commercial and residential real estate, where comps and cap rates are known and mortgage prices readily available on the internet, there is no information for seller’s of wireless leases on-line about pricing or value. TCA is dedicated to helping make the decision to buy or sell, and at what price, get done in something other than a vacuum. And our services are free to property owners, small businesses and municipalities.